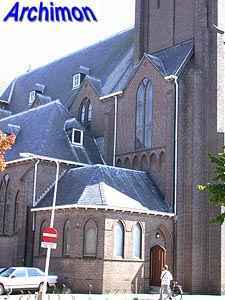 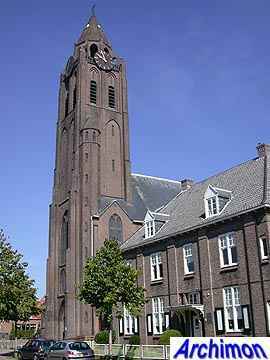 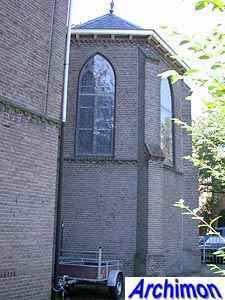 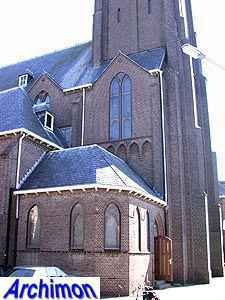 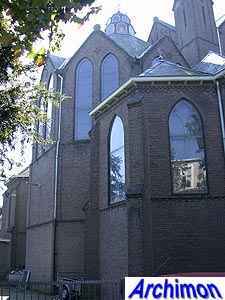 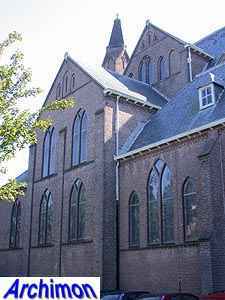 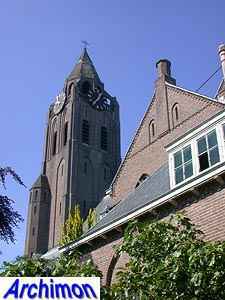 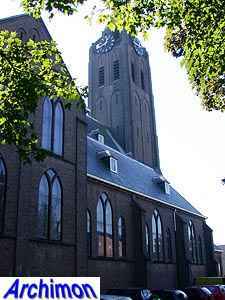 Until 1922 the catholic parish of Zeist used a smaller church elsewehere in the village. 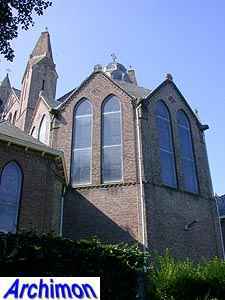 With the parish growing, that church became too small in the early 20th century. 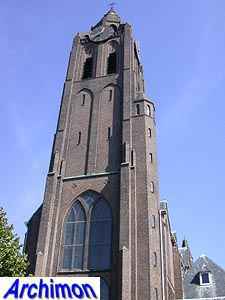 In 1915 architect Wolter te Riele designed a new church. 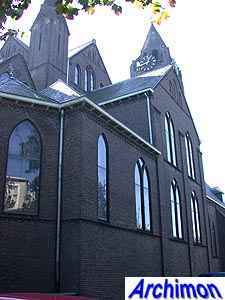 However, its construction did not start until 1922. 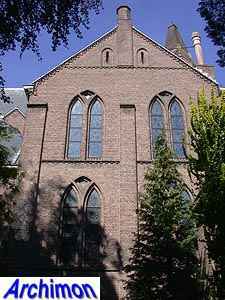 In 1924 the new church was completed. 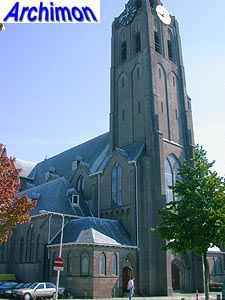 The St. Joseph is in a neo-Gothic style with details that refers to early German Gothic. 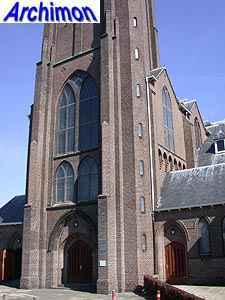 Like many of Te Riele's churches, it combines a traditional basilican plan with centralizing elements, in this case a wide nave with narrow side-aisles. 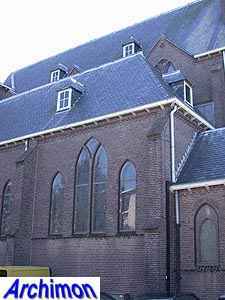 The side-aisles have seperate roofs, which partly block the clerestorey with its pointed gables with tall windows from view, and end in pseudo-transepts. 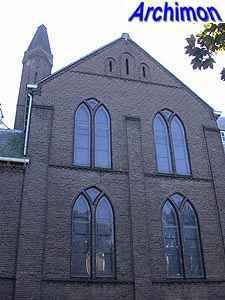 Above these, the clerestorey is heightened as well. 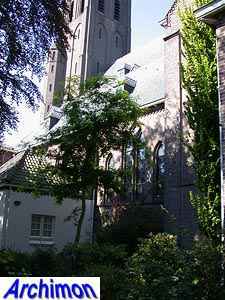 The transition between the nave and the choir is marked by two turrets. 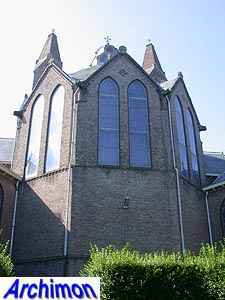 The choir has an octagonal ground plan and is covered by a polygonal dome with a lantern on top. 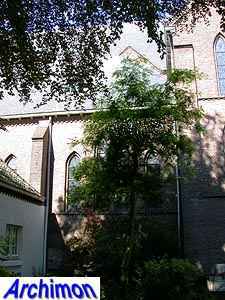 Not visible on the outside is the ambulatory around the choir. 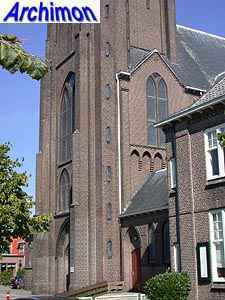 At the front of the church is a tall tower with a chapel on either side. 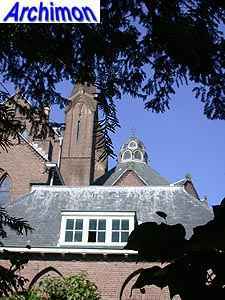 On top of the tower is an octagonal lantern with flying buttresses at the corners and a pointed spire. 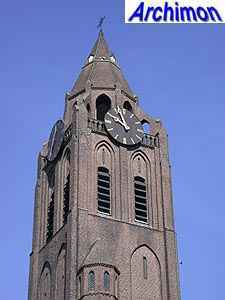 Remarkably, the clerestorey runs along the sides of the tower.